Heading into Game 7 of the NBA Finals — one of the biggest game of his life — LeBron James is as cool as the other side of the pillow. As described by Jason Lloyd of the Akron Beacon-Journal, James appeared “very loose today, smiling and cracking jokes from the podium” during his Saturday press conference. One of the jokes he cracked had to do with answering a question about winning the MVP award. "Last time I answered a question about MVP it didn't go that well for me… I'm not going to do it," said LeBron James with a laugh. Upon the conclusion of the press conference, James capped it off in epic style. That James is loose right now shouldn’t surprise anyone. He’s competing in his sixth straight NBA Finals and has been bringing the chill all series long until tip-off. The past two games, however, he’s been anything but chill during the action. 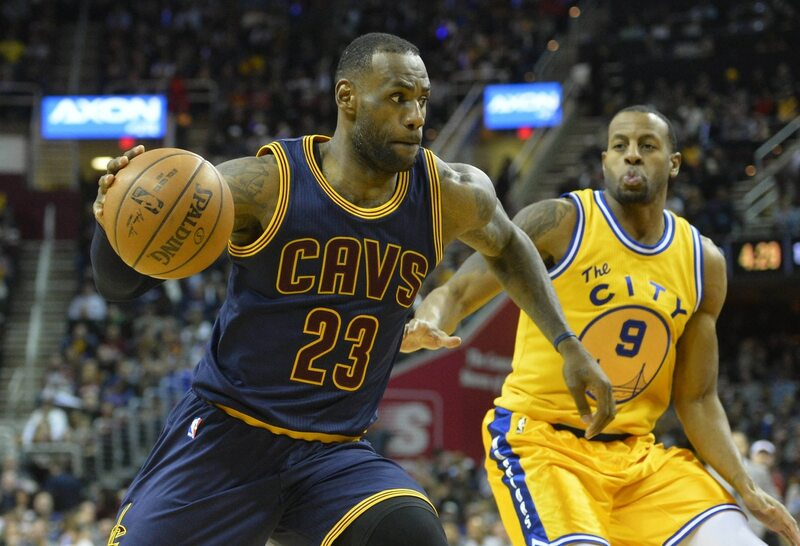 Speaking of tip-off, catch James and the Cleveland Cavaliers taking on the Golden State Warriors on ABC this Sunday night starting at 8:00 p.m. ET from Oracle Arena.